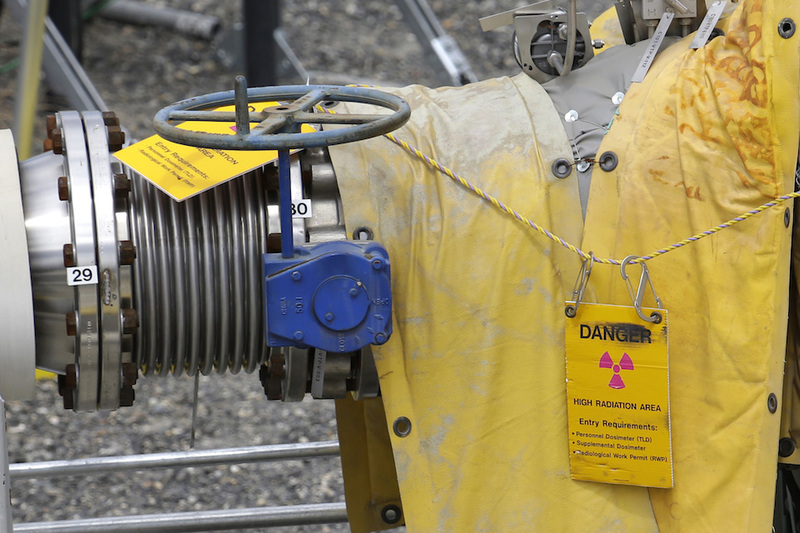 (AP) — The slow pace of cleaning up the nation's largest cache of radioactive waste left over from the production of nuclear weapons is frustrating Washington state officials from both major political parties, who blame the Trump administration for not doing more. The U.S. Department of Energy recently proposed hundreds of millions of dollars in budget cuts for cleaning up the vast Hanford Nuclear Reservation in southeastern Washington, even though the estimated cost of the cleanup has at least tripled and could reach more than $600 billion. "That's a huge, huge cost increase," said Tom Carpenter, director of the watchdog group Hanford Challenge. At a hearing in Washington, D.C., last week, Democratic Sen. Patty Murray questioned Energy Secretary Rick Perry's assertion that his agency can still meet a legally-binding cleanup schedule despite the proposed budget cuts. Much of the site's aging infrastructure is deteriorating, including underground waste storage tanks and tunnels. The Energy Department issued a report in January that raised the remaining cost of Hanford's environmental cleanup to between $323 billion and $677 billion, with the work lasting until 2079 or 2102, depending on which estimate proves true. That is much higher than the previous estimate of $107 billion in costs to complete the cleanup by 2066. That is "a pretty shocking number," Perry told members of the House Appropriations Committee last month. Shortly after the higher estimates were revealed, the Trump administration proposed a $416 million cut in its budget for Hanford that would reduce it from about $2.5 billion for the fiscal year ending Sept. 30 to $2.1 billion for the next fiscal year that starts Oct. 1. "Site will need clean up for 300 Years"
Republican U.S. Rep. Dan Newhouse, whose district encompasses the site, said the administration's "budget request numbers would fall short of fulfilling the federal government's obligation to clean up the Hanford site." U.S. Sen. Ron Wyden, an Oregon Democrat, estimated it will take 300 years to clean up the site under the Trump administration's proposed budget. "Trump's combination of bad math and shifty wordplay adds up to tragicomic incompetence," said Wyden, a frequent critic of efforts to clean up the site. Feds holding back needed funds? Washington state officials have said previously — even before the cuts were announced — that the federal government has not provided enough funding to meet annual cleanup costs. They have suggested that least $3 billion annually is needed. "We believe that the lack of adequate funding translates into a longer, more drawn-out cleanup, and that in turn is a significant factor in the increased cost of the total cleanup," said Alex Smith, manager of nuclear waste programs for the Washington Department of Ecology. Hanford was created by the Manhattan Project during World War II as the nation raced to build atomic bombs. The plutonium for the atomic bomb dropped on Nagasaki, Japan, at the end of the war was made at the site, which then produced about 70% of the plutonium for the U.S. Cold War arsenal. That left the country's largest volume of radioactive waste at the site about half the size of Rhode Island, where the most dangerous 56 million gallons (211 million liters) of waste is stored in 177 giant underground tanks, some of which have leaked. 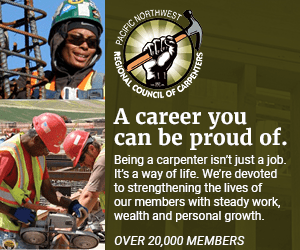 The site has around 10,000 workers and is the main economic force for the cities of Richland, Pasco and Kennewick, located 200 miles (322 kilometers) east of Seattle. Watchdogs:'Department of Energy is downplaying risk"
Carpenter said he suspected the larger cleanup cost estimate followed by the Trump administration announcement on the proposed Hanford budget cut could be part of a larger government plan to limit the cleanup's scope. He pointed out that the Energy Department mounted a campaign in recent years to reclassify much of Hanford's dangerous high-level waste as low-level, which would reduce cleanup costs. Washington officials want "to walk away from Hanford and the cleanup. They want to put concrete in the tanks and walk away," he said. Perry said the Trump administration will keep promises for continued cleanup work. "We give you our commitment that, not only are we going to be working efficiently, but we're going to be working timely," Perry said at the congressional hearing last month.